The Church functions as a Body when each member plays his or her part. These are just some of the ways that you can volunteer. If there’s something you’d like to do that’s not listed here, contact the Chaplain. Enable people to feel at home by greeting people each Sunday and handing out the service cards used in worship, taking up the collection, directing people during Communion, setting up and putting away chairs, and generally clearing up afterwards. Help draw our hearts to God by leading the congregation in intercessory prayers during the Sunday morning service. You can either create your own prayers or use set prayers provided, as you prefer. Let God’s word be heard by reading a previously chosen passage of Scripture during the Sunday morning service. 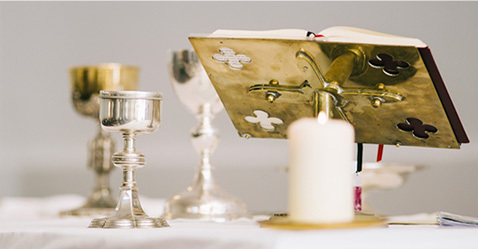 Share in the blessing of the congregation by serving the chalice during the actual giving/receiving of Communion during the Sunday morning service. Support the work of the Sunday School teachers by helping out with the kids during Sunday School (during the 11am service on Sundays). No preparation required, just a willingness to help the kids learn and have fun during the classes. Share your musical gifts and talents as part of the Music Group, who lead the congregation in worship each Sunday morning. Also, be part of the choir that performs each year during St George’s Christmas carol service. Enable people to feel welcomed after the service by helping to pour coffee and tea after the service, and doing a bit of washing up. Computer-literate people needed to be part of the team that mikes the Chaplain, runs the sound board and cues the projection of songs during Sunday morning services. Reach out to any in need, emotionally, spiritually or materially, or visit the sick and elderly. Receive a prayer request and pass it on to the next link-person in the chain. Currently around a dozen people pray regularly for people who send in their requests, usually by email or phone. Plan, organize and promote a variety of social events that take place in the life of the church over the course of a year, from potluck lunches, seasonal events, sales, garden parties, BBQs, fundraisers and fairs. 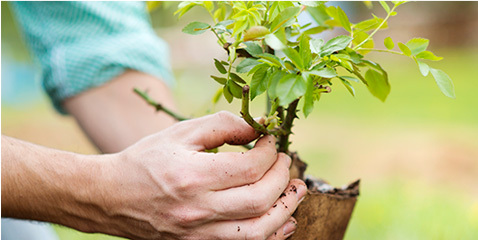 Spruce up the church garden on a seasonal basis and keep the grounds looking trim and tidy. Handy people always needed to do the odd job around the church or in the two upstairs flats, as required. Share your expertise and experience of project managing a major refurbishment or building project.